Quality – Agro-industrial holding "ECO-culture"
Each year, after our first harvest, samples of our products are sent to the Federal Service for Veterinary and Phytosanitary Surveillance in Stavropol Krai (Rosselkhoznadzor). We subject our products to quality control measures to check for the presence of nitrates and pesticides. Each year, the products receive a Declaration of Conformity (for quality) and Certificates of Conformity, which confirm that our products meet GOST quality standards. 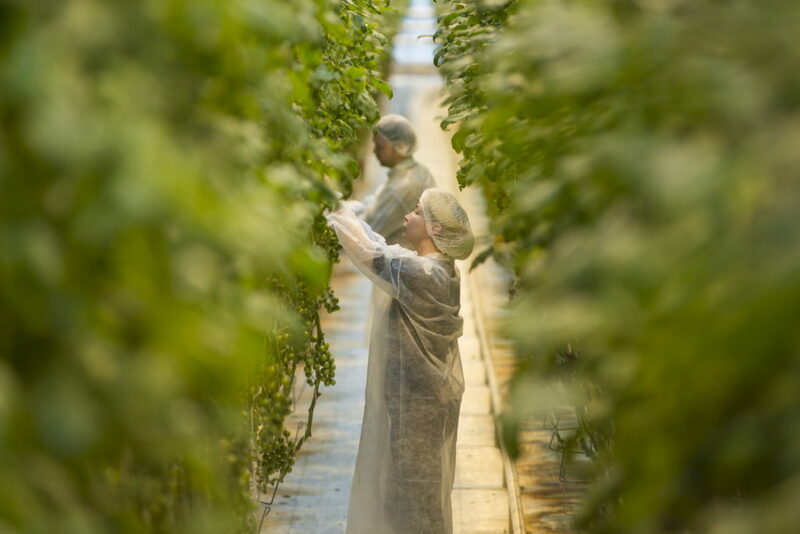 Our production is also certified under all standards, which include standards for nutrition, care, chemical and biological protection, and plant care. In working with retail chains, our distribution center has adopted quality specifications that are required not only by the retail chains themselves, but also by catering enterprises, where quality at acceptance is by far stricter. When placing orders, any fruit with external damage is sorted out because the presence of the slightest defect on a fruit can lead to appearance of rot on the entire batch directly on store shelves. That’s why we do everything possible to ensure that consumers choose Eco-Culture products. Our domestically-grown products are much healthier for residents. Scientists have, for a long time, experimentally proved an amazing fact – vegetables, fruits, grains, and all other crops grown in a human climate zone, are much better absorbed by the body, they have a certain therapeutic effect, and are less likely to cause allergies. Little wonder that paediatricians all over the world advise mothers to feed their babies with only natural domestically-grown products in the first stages of life.